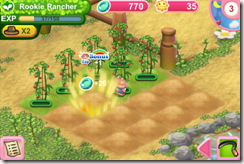 Home News Pretty Pet Farm! 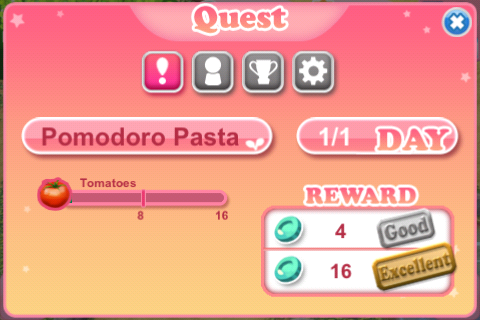 1.2.0 – More fun with Quests and Bonuses! The latest update of Pretty Pet Farm! for the iPhone will have you tapping away harder than ever! Update to the latest and greatest version 1.2.0 to enjoy a bundle of new features including quests and special bonuses from none other than your cute and hardworking farmers. Working at your farm has never been this much fun! Saving up for a new farm or house? If you want to earn coins faster, the brand new quest system can help you do just that. 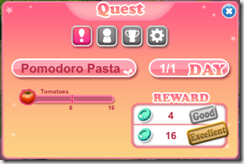 Watch out for quests that will appear regularly on your screen. You can’t miss them, but you can always choose whether to accept them or not! Completing each quest can be easy or a bit more challenging, depending on how much effort you put into it. Do well and you get a “Good” reward, but do more than you’re asked and you’ll be given an “Excellent” reward. Whichever you choose, it’ll surely be worth your time! Lucky Bonuses from your Farmers! Your farmers are also feeling luckier than ever, and you get to reap the benefits! 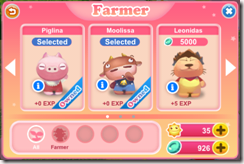 Visit the Farmers page in the shop and you’ll notice a little blue Info icon beside each of the farmers. 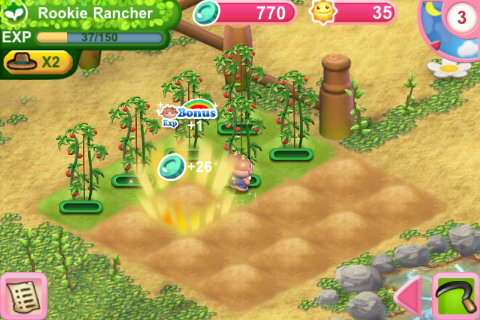 Tap on the icon and you’ll see that each Farmer has a chance of giving you special bonuses. 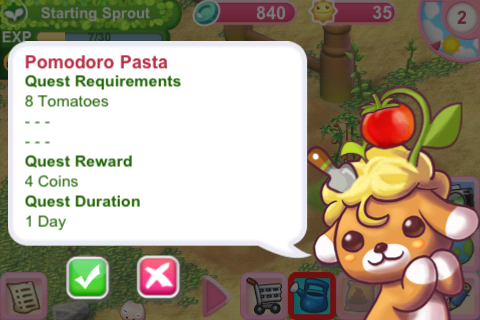 These bonuses range from a few extra coins to the ability to cause your crops to grow – instantly! Moolissa, for instance, can give you additional experience (XP) whenever her bonus kicks in. 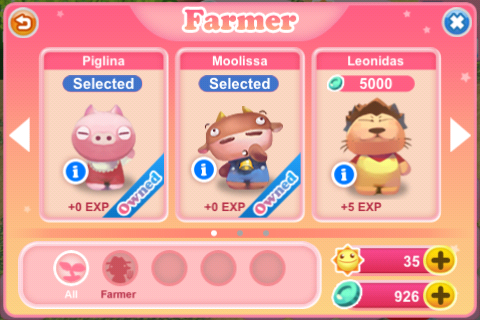 On top of that, having more Farmers or “pets” can increase the luck of your entire Farmer staff! The more the merrier, indeed! For any feedback regarding this update and the new features, don’t hesitate to contact us at support@animoca.com. Happy farming everyone!